White paper - Scherenschnitte countryside design. 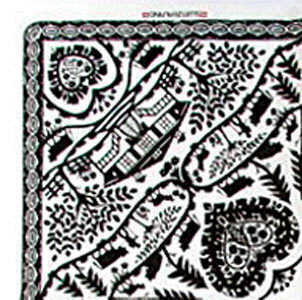 Swiss paper napkins are modern examples of the traditional printing techniques. Service Area: New Glarus, Beloit, Janesville, Freeport, Middleton, Baraboo, Fort Atkinson, Monroe, Platteville, Waunakee, Verona and surrounding communities.